2015: There is something here for everyone; nature walks, art, music, sustainable food, talks, film showings, a green careers fair, children’s events, and practical steps to cut your carbon footprint. You can hear Natalie Bennett speak or you can help pick up litter in Verulamium Park; you can debate sustainable economies or you can plant trees at Heartwood Forest. Join in! Over 100 groups involved! Over 100 events about environmental sustainability taking place during the week! 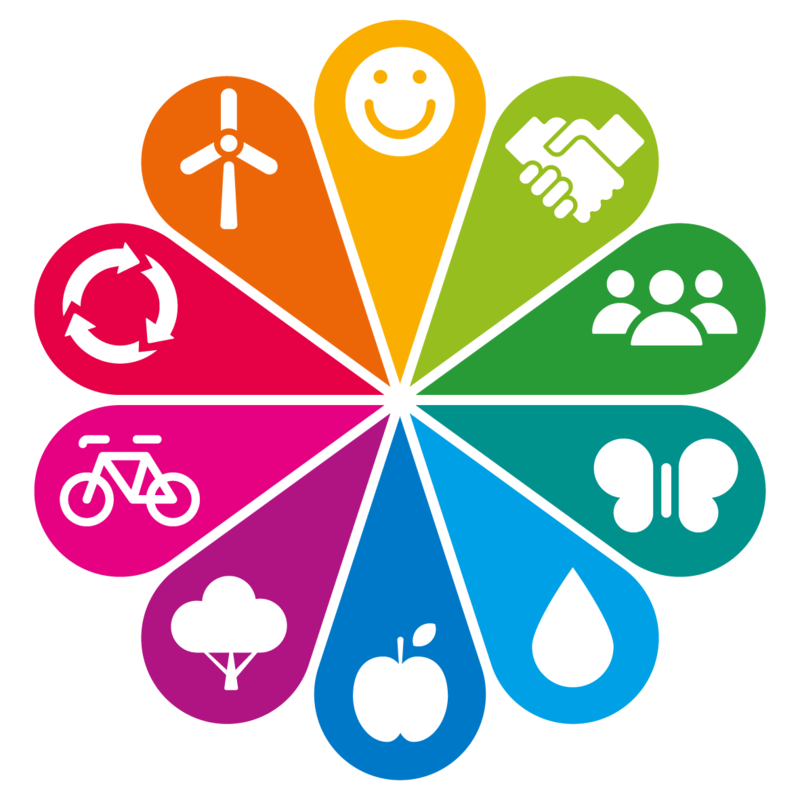 You are invited to take part in this exciting new week in St Albans’ calendar to help make our city and district a more environmentally sustainable place to live! 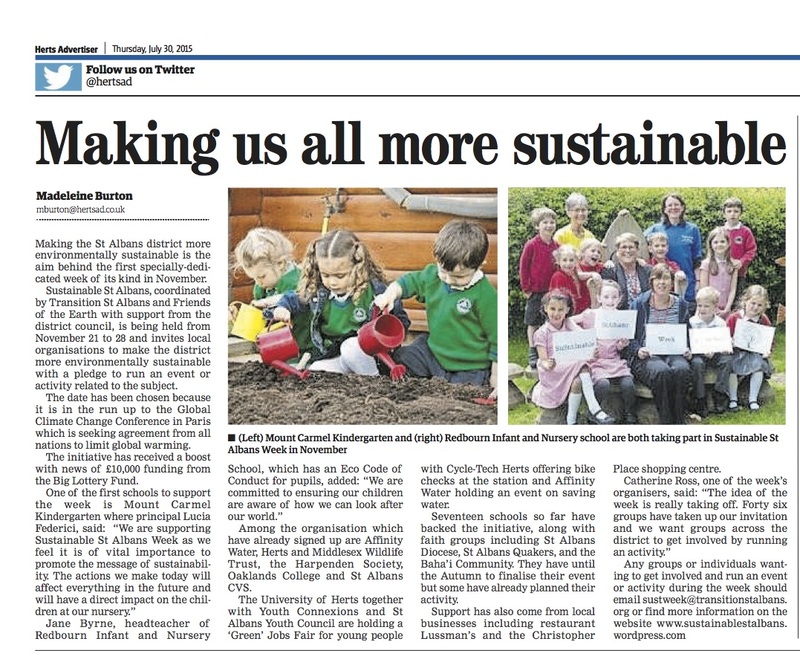 The week is jointly co-ordinated by Transition St Albans and St Albans Friends of the Earth with support from St Albans City & District Council. If you are a group that wants to take part and run an event please click here to see ideas and FAQs. 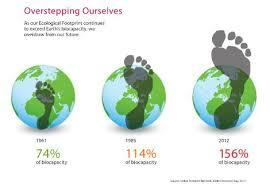 We’re consuming resources and polluting the planet at a level the Earth cannot sustain. Climate change is an urgent global challenge with long-term implications for sustainable development across the world. A warming climate will impact how basic necessities like water, food and energy are available. More and more people are now looking for sustainable living solutions. Ecological footprinting shows that if everyone in the world consumed as many natural resources as the average European, we’d need three planets to support us. If everyone used as much natural resources as St Albans we’d need three and a half planets! St Albans, with over 140,000 residents in the district, has the second highest ecological footprint out of all UK cities. We’ve chosen this week because it is in the run-up to the vitally important Global Climate Conference in Paris #COP21 starting November 30th 2015. The goal of the Conference is to reach an agreement from all nations to reduce greenhouse gas emissions to limit the global temperature increase to 2 degrees Celsius. Achieving this global agreement is essential, but the fight against climate change needs us all to take action.